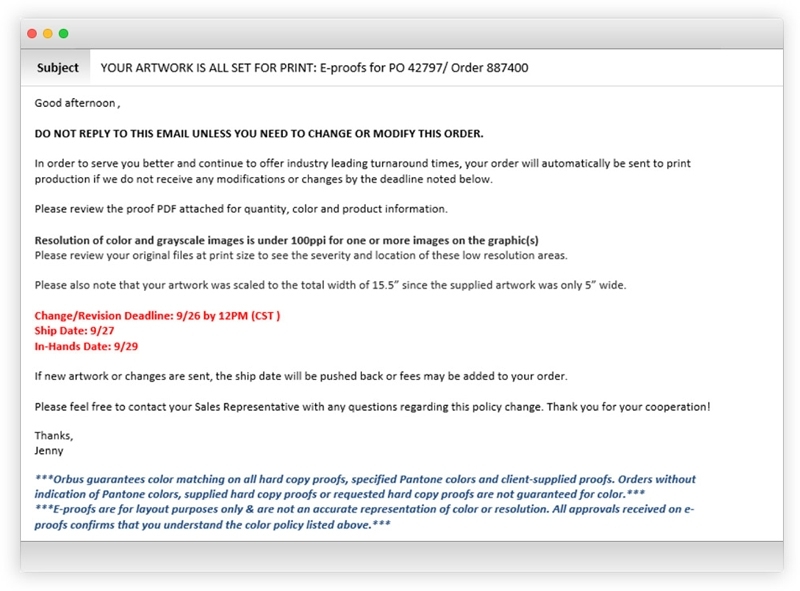 Orbus strives to get your artwork reviewed, quality checked and out to print fast! After the order and artwork files are received, your art goes through our quality check and proofing procedure. NO RESPONSE IS NEEDED and the job will stay on schedule to print and ship per the original order request. The benefits of this procedure are that Orbus guarantees the desired ship date if files have no revision(s) and may also be able to facilitate faster turn times. You must respond to the email within the desired revision deadline time and date as well as outline changes you’ve made in the new file in response. Orbus will then return revised artwork e-proof within 24 hours and most likely the ship date will be pushed back. If the order must convert to a RUSH to keep the ship date, then this needs to be communicated and RUSH fees will be charged. 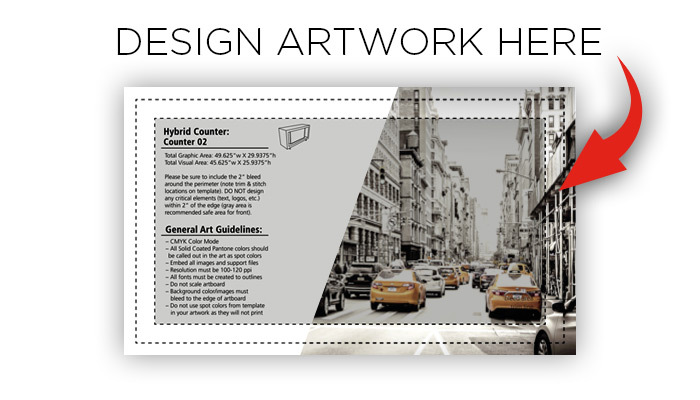 Ensure the perfect size of your graphic by laying out your artwork directly in the graphic template PDF! 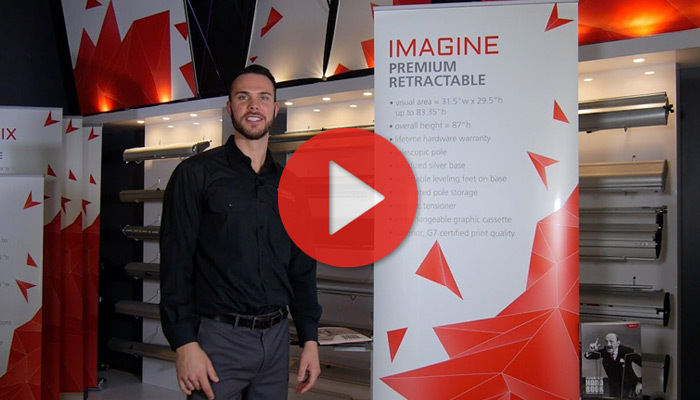 Become familiar with the best way to prepare your files for optimal quality and results! Learn best practices from the experts! Watch these brief videos for tips and tricks. 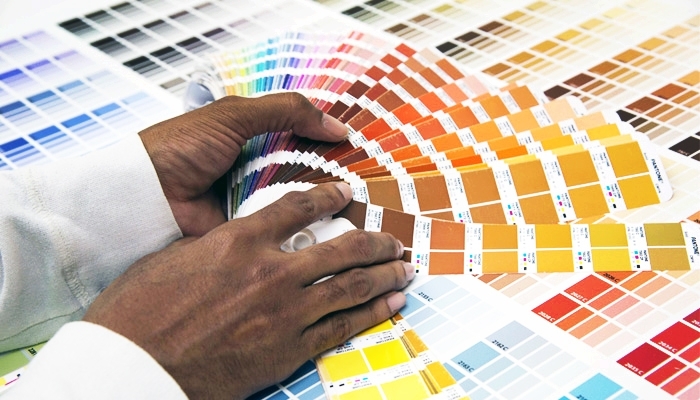 Your sales representative can help with your graphic/artwork questions.